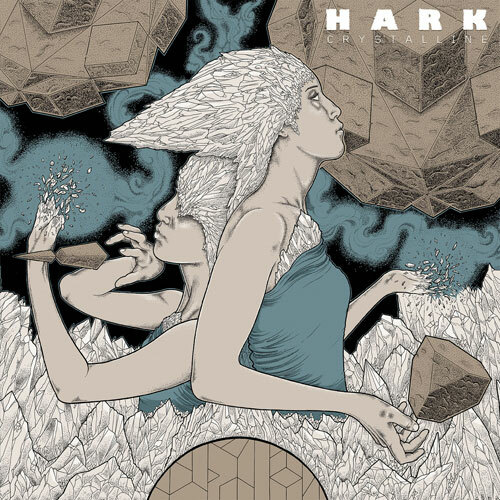 Welsh heavy rock power-trio HARK have premiered a third new track taken from their forthcoming Season of Mist debut album, ‘Crystalline‘. 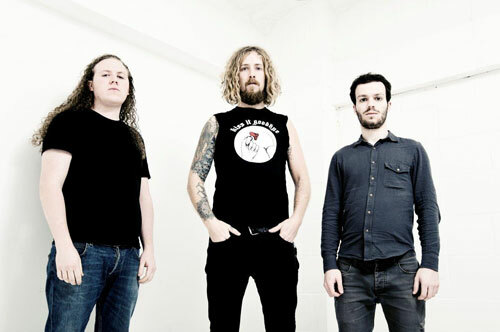 The song, entitled ‘Clear Light of…’ features guest vocals from CLUTCH front man Neil Fallon and is streaming over on Metal Hammer Magazine’s website AT THIS LOCATION. The artwork for ‘Crystalline’ was designed by HARK guitarist/vocalist Jimbob Isaac, himself an acclaimed graphic artist who has worked with the likes of Red Fang, Clutch, Melvins, Kvelertak and more. HARK have also announced a European tour. Dubbed the “Nations to Flames European Tour“, the trek will see HARK travel across various territories, with a stop at the Roadburn Festival in Tilburg, The Netherlands on April 12th. The band will play alongside A STORM OF LIGHT.